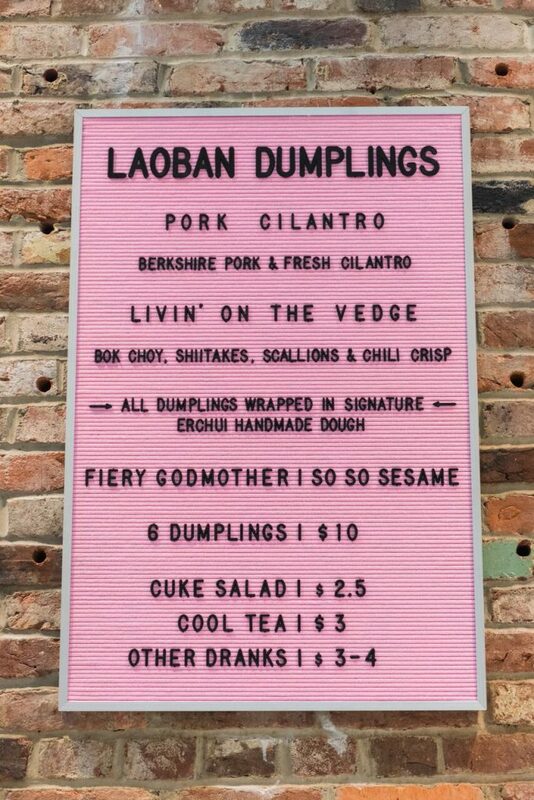 “Former consultant and venture capitalist turned restaurateur, Patrick Coyne, is pleased to announce the opening of his first fast casual dumpling concept, Laoban Dumplings, at 2000 Pennsylvania Ave, NW today, Monday, November 6. 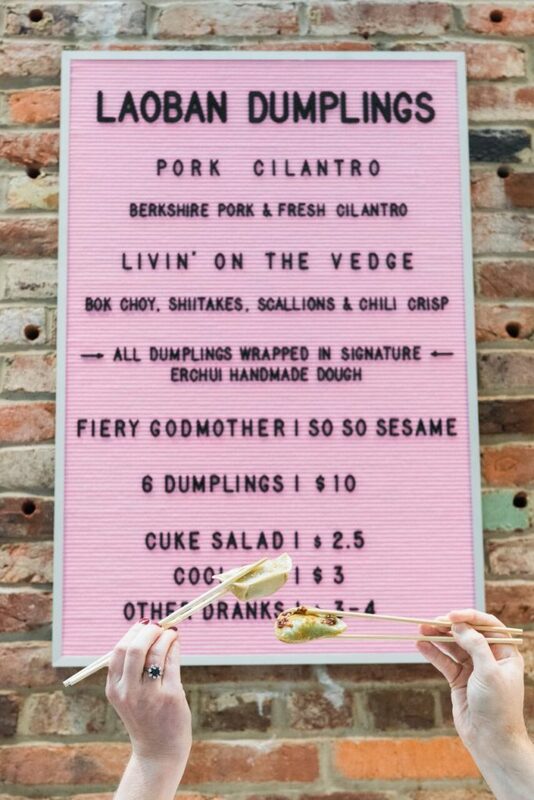 The outpost is meant to recreate the authentic and fun dumpling shop experience Coyne enjoyed in the Chinese province of Hunan while teaching English a few years ago. The opening comes after a string of sold-out pop-ups held around Washington, D.C., including stops at Compass Rose where Coyne debuted a khachapuri dumpling – a Gregorian-inspired bite filled with cheese and egg and pan-fried in butter; and On Rye where he featured a Reuben dumpling – a magical combination of the classic American deli sandwich with this Chinese staple. His take on the Lebanese version of a Shish barak dumpling – filled with ground beef, pine nuts, spices and garlic and served with a garlic and mint yogurt dipping sauce – was hailed by Zagat as one of the best versions in the country. Guests can anticipate an array of dumplings that take traditional Chinese ingredients and recombine them to create new offerings. Coyne picked up the art of dumpling-making while living in China, and has since refined the recipes working with a range of acclaimed chefs such as Jonny Uribe and Akhtar Nawab. The featured offerings will include crafted selections such as Pork Cilantro (Berkshire pork and fresh cilantro), Ginger Chicken (cage-free/hormone-free chicken with ginger, honey and scallions), Xinjiang Lamb (lamb, cumin, red pepper flakes, and cilantro), Livin’ on the Vedge (bok choy, shiitake mushrooms, scallions, and Chinese chili crisp), and Farmer’s Fancy (a mix of eight different fresh vegetables). 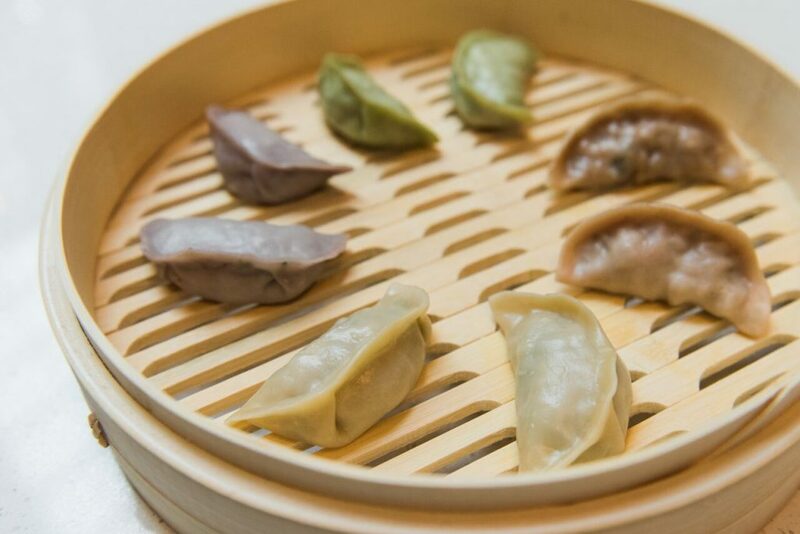 All dumplings are wrapped in signature handmade erchui dough (erchui means “earlobe,” which describes the pillowy soft texture), and priced at $10 for a selection of 6. In addition to the dumplings, featured salads will include selections such as the Cuke Salad, a mix of cucumber and cilantro with a tangy Chinese vinaigrette, priced at $2.50. 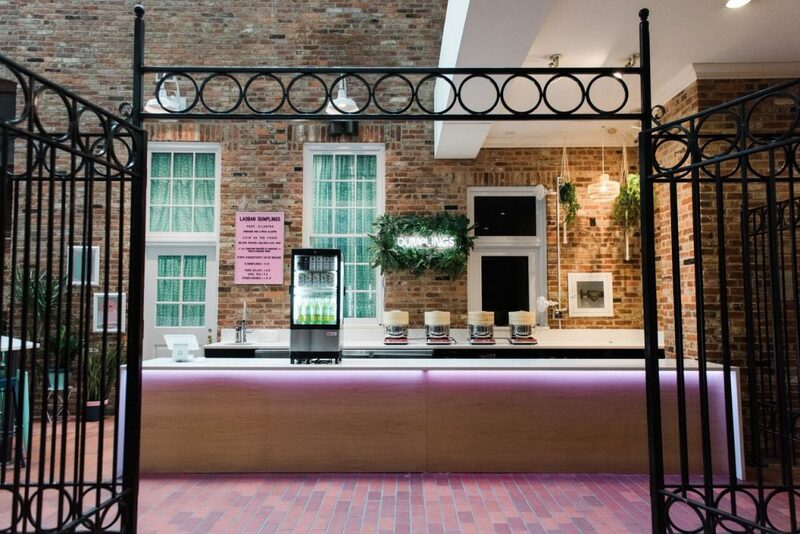 Beverage offerings will include a housemade cold-brewed mint green tea gently sweetened with Virginia honey, as well as a curated rotating collection of canned and bottled beverages, including those from other local makers. Drinks will be priced between $3.00 and $4.00. To execute the vision for this first outpost, Coyne tapped local talents such as the celebrated architecture and design studio, HapstakDemetriou+, also known for creative designs such as Pineapple and Pearls, Fiola Mare, and Cava; Hollow Work ceramic studio in Northeast D.C., and creative agency, The Lemon Collective. The shop’s design is simple and clean, a modern take on the classic dumpling shops of Asia.